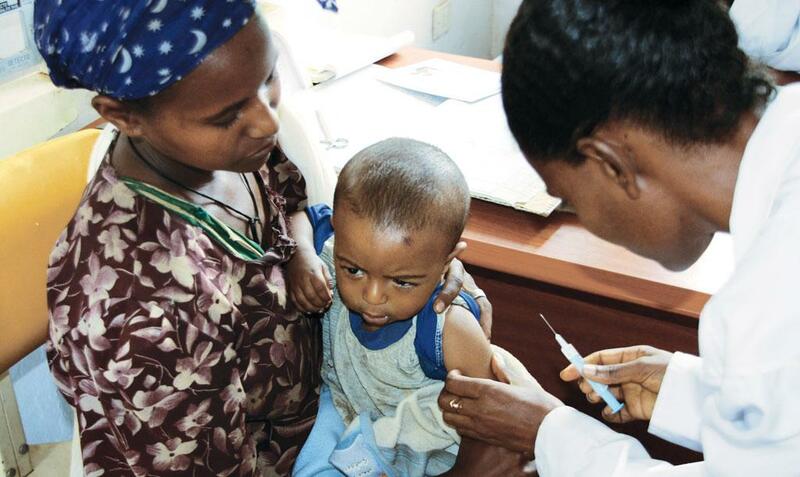 On July 24 this year, Africa got its first vaccine to fight malaria. The European Medicines Agency’s Committee for Medicinal Products for Human Use approved the commercial use of Mosquirix in the continent, which accounts for 90 per cent of global malaria deaths. While the preventive vaccine is a milestone in Africa’s fight against the killer disease, it hardly paints a hopeful picture for India. Mosquirix is effective against only one species of the malaria pathogen and hence will not be effective in India where malaria is caused by multiple species. India’s vaccine development programmes are only in the early stages of experiment, ranging from basic research aimed at identifying potential targets to conducting Phase I clinical trials. So the country has a long way to go before it can create a successful malaria vaccine. Mosquirix itself took almost 30 years of research before it could be administered to humans. GlaxoSmithKline (GSK), a British pharmaceutical company, began work on the vaccine in 1987. The subsequent years were devoted to clinical trials, involving more than 16,000 children from Burkina Faso, Gabon, Ghana, Kenya, Malawi, Mozambique and Tanzania. During the first 18 months of the trial, three doses of the vaccine were administered to the children. In its report, submitted to the European drug regulator, GSK claims that malaria cases were reduced by almost half in children aged five to 17 months and by 27 per cent in infants aged six to 12 weeks. The vaccine was evaluated in addition to existing malaria control measures, such as insecticide-treated mosquito nets, which were used by approximately 80 per cent of the patients. 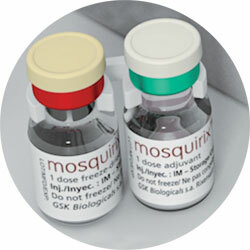 Mosquirix is the world’s first licensed vaccine against a parasitic disease of any kind. It has been designed to prevent malaria in children caused by the parasite, Plasmodium falciparum (P falciparum). While five types of plasmodia can cause malaria, P falciparum is responsible for maximum malaria deaths globally and is most prevalent in sub-Saharan Africa. According to the World Malaria Report 2014, published by WHO, 78 per cent of deaths in Africa among children under five are caused by malaria. The success rate of Mosquirix is only 30 per cent. Nevertheless, it is a beginning in the long-drawn fight against the deadly disease. While Malaria statistics for Africa are grim, India fares no better. According to WHO, the country accounts for 58 per cent of the 1.5 million malaria cases in Southeast Asia. At least 22 per cent of its population lives in high-risk areas. So it makes sense for India to invest in a vaccine. 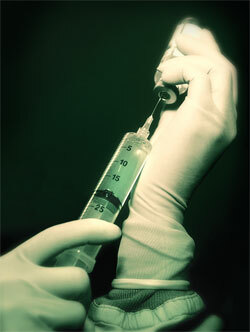 The International Centre for Genetic Engineering and Biotechnology (ICGEB), a research and training institute in New Delhi, and the School of Biotechnology, Jawaharlal Nehru University (JNU), are two institutions pioneering vaccine development efforts in the country (see ‘Work is just beginning’). Virander Singh Chauhan, former director of ICGEB and now a visiting scientist, says that ICGEB is about to start Phase I trial for two vaccines, one for P falciparum and the second for Plasmodium vivax (P vivax), another species causing malaria. “We hope to have some good data by 2016,” he adds. The approval process for vaccine development in India is tedious. Pawan Malhotra, a research scientist at ICGEB, points out that it took more than five years to get approval for the proposed trial from the Drug Controller General of India. Deepak Gaur, associate professor in the School of Biotechnology, JNU, urges patience. He says that the parasites causing malaria and the disease itself are complex and it requires time and effort to study them to develop antigens. Gaur, who was formerly with ICGEB, recently made a discovery that has major implications for malaria vaccine development. He published his findings in the journal, Proceedings of the National Academy of Sciences. “We have identified three potential plasmodium proteins at the blood stage, which could be potent targets for a malaria vaccine,” he says. The life cycle of a plasmodium comprises two stages—pre-erythrocytic liver stage and erythrocytic blood stage. The plasmodium parasite is transferred to humans by the bite of an infected mosquito. The parasite first attacks the liver and then enters the blood stream where it infects the body’s red blood cells. While Mosquirix targets liver-stage plasmodium, experimental vaccines in India focus on blood-stage parasites. Since Mosquirix has an efficacy rate of 30 per cent, combining it with the blood-stage target vaccine being developed in India could make it more effective, says Chetan Chitnis, a visiting scientist at ICGEB. Gaur observes that a joint effort to target both liver and blood-stage plasmodium could increase vaccine efficacy by up to 80 per cent. According to the Malaria Vaccine Development Programme, a non-profit research society, the Department of Biotechnology under the Union government has provided Rs 6.2 crore (approximately $0.9 million) in the past three years to support vaccine development projects. This is much less than the $365 million invested by GSK to develop Mosquirix. But funding alone will not bring about quick results. To ensure faster production of vaccines, the government must hasten the process of trials while ensuring the safety of patients, says Chauhan. The government must also further develop scientific infrastructure in the country. The approval process needs to be short and easy so that researchers do not waste time running from one authority to another to get clearances. There should be a system in place to award recognition and incentives to institutes that contribute to vaccine development. The government should also encourage universities, scientists and researchers to take up new experiments in the field. How well are malaria maps used to design and finance malaria control in Africa?